HP LJ 8100 Ultra Precise Toner Cart., 20K Pages (C4182X) : Disk-O-Tape, Inc. The new HP C4182X Ultraprecise Print Cartridge is perfect for users who value the convenience of increased output and a lower overall cost of ownership. It was designed for the HP LaserJet 8100 family of printers to ensure optimum print quality. Yield: 20,000 pages, based on 5% average coverage. 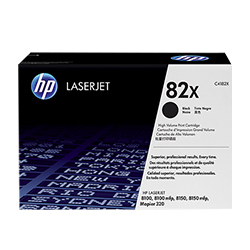 HP 82X Black LaserJet Toner Cartridge with Ultraprecise technology for the HP LaserJet 8100 and 8150 Printer series. Average cartridge yields 20000 standard pages.Clear, sharp output with a lower overall cost of ownership. Clear, sharp output with a lower overall cost of ownership. Features Ultraprecise components for breakthrough, optimal output. 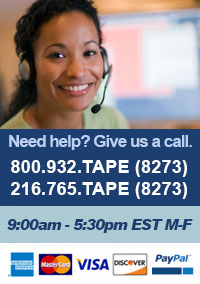 Designed together to work together with HP LaserJet 8100 and 8150 Printer series. Page yield (black and white) Average cartridge yields 20000 standard pages. Declared yield value in accordance with ISO/IEC 19752.